Fresh flowers are a little bit of luxury most people reserve for special occasions and events, but recent studies from several leading research universities confirm that just looking at a vase of flowers can have a positive impact on emotions, creativity and productivity. Perhaps 2015 is the year you begin to incorporate fresh flowers into your health routine and budget a tiny bit each week towards this simple pick-me-up that can positively influence everyone in the room. Whether you start adding blooms to a little vase on your breakfast table or bring in an arrangement to the front office for the whole crew to enjoy, there are quite a few flowers available these days that will look fresh all week without biting into your budget. Try one of these three fabulously affordable flowers that will bring you 52 weeks of awesome in 2015. 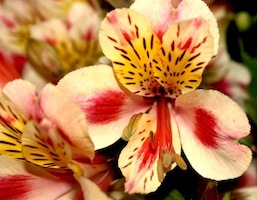 The working man’s lily, Alstroemeria, also called Peruvian lily, is one of the most under priced flowers on the market these days. Stems are tall, straight and stately- reaching lengths of 2 feet tall at times and making this flower a perfect pick for a tall, glass vase. Each stem is topped with 3 to 5 individual flowers that are smaller than traditional lilies, but have come in a wild array of colors with 3 petals that have an almost tiger-stripped pattern on the inside. Exotic looking, but also appropriate for almost every season, Alstroemeria is almost always sold in bunches of 6 to 10 stems and rarely for more than $7 at a time, ringing in at less than a dollar a stem. In a vase of fresh water, these stems will stay fresh for almost two weeks at a time. Few flowers are as easy on the eye and the wallet as mums. Coming in absolutely every color in the rainbow except blue, these daisies are long-lasting and lovely mixed with other flowers or on their own. 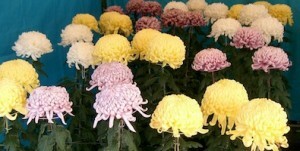 Smaller pom-pom mums are available year-round in colors from white to green and larger varieties like the Fuji or spider mums come with long, elegant petals. Try mixing several different kinds in a shorter vase using seasonal colors for a look and smell that make it hard not to smile. Sold while still tightly closed, it’s easy to overlook these ample blooms. The kind typically sold in bunches at florist and grocery stores are surprisingly affordable, at less than a dollar a stem, and look great in a vase without any other greens or fuss. 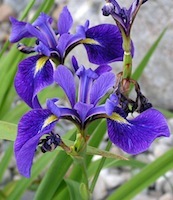 Once taken out of the floral cooler and placed at room temperature, blooms will open up slowly over the next few days to reveal a striking color of blue or purple with a yellow throat and last for the next week and a half. 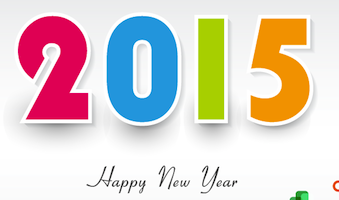 Along with your list of other resolutions, be sure to add a few fresh stems to 2015!